Here at Nature Families we are excited to incorporate ideas on how to use art to explore and understand the natural world with your family. 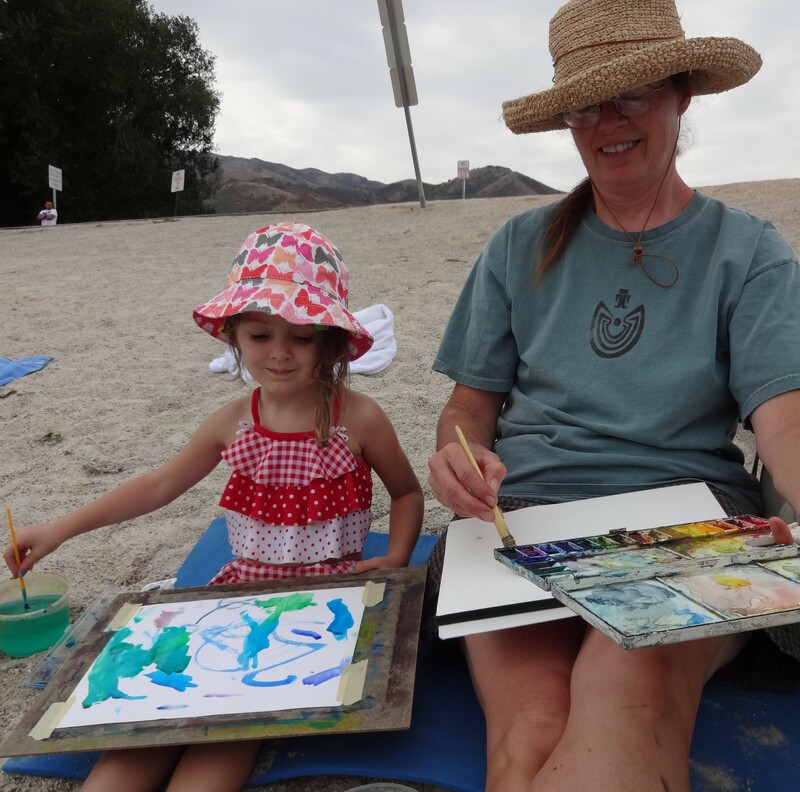 Even if you do not consider yourself an artist we can all enjoy exploring our creative selves through drawing, painting, or creating; our children rarely hesitate to engage in any art endeavor we propose; it would be wonderful for all of us to approach art with such an open an unselfconscious heart! We have noticed in our teaching that art is a wonderful tool for reflection on what we have seen in the natural world. 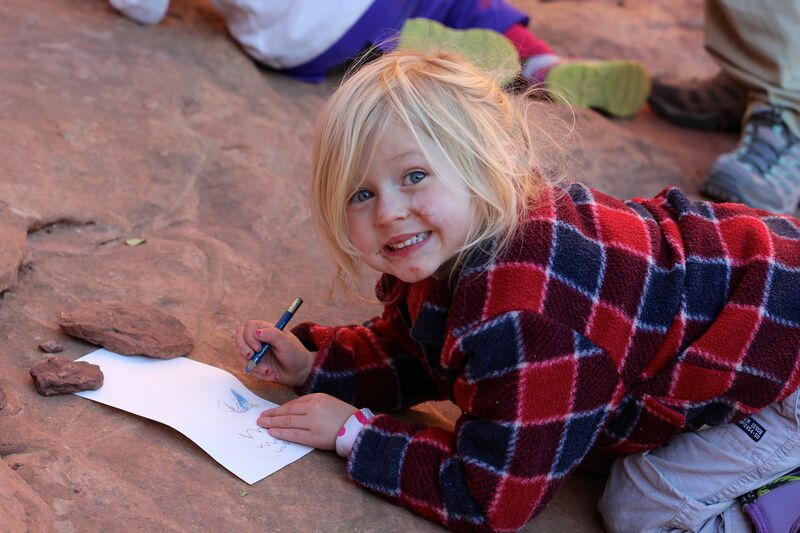 Slowing down and taking time to do a nature drawing also totally heightens a child’s sense of observation. Please visit Nature Families often to explore our new ideas on how to intertwine art and nature into your family life or teaching. Please contact us to share your wonderful ideas of art and and nature projects you have tried with your students or children. 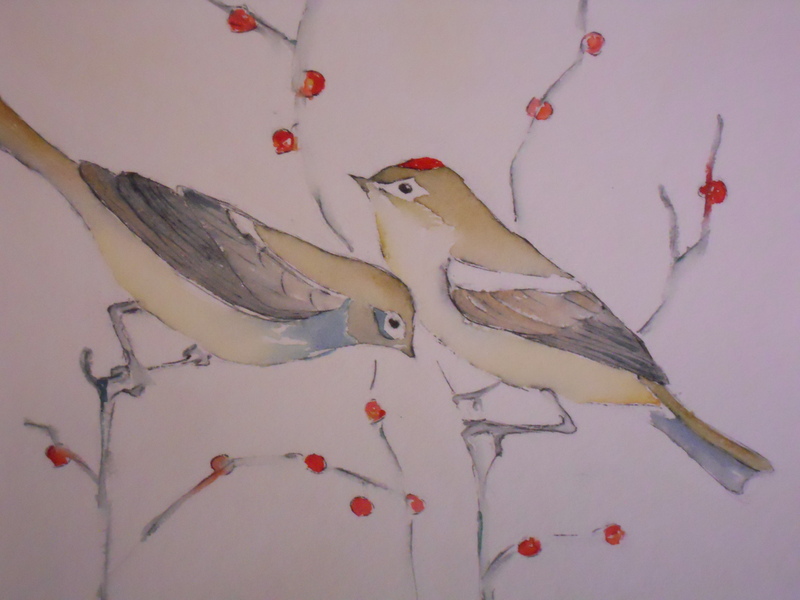 The following is a thoughtful reflection by our Art and Nature Specialist Janimarie Lester DeRose on why art and nature go hand in hand….enjoy! 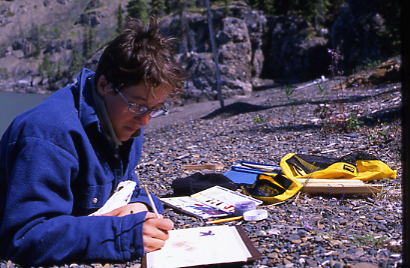 Jani painting on the shores of the Yukon River on her canoe trip down the entire Yukon. 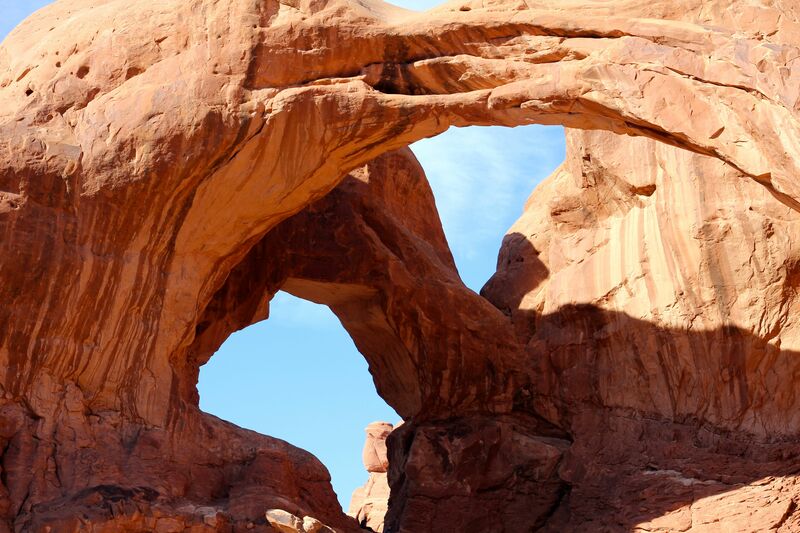 “Recently, our family visited Arches National Park, in the sandstone country of Utah. 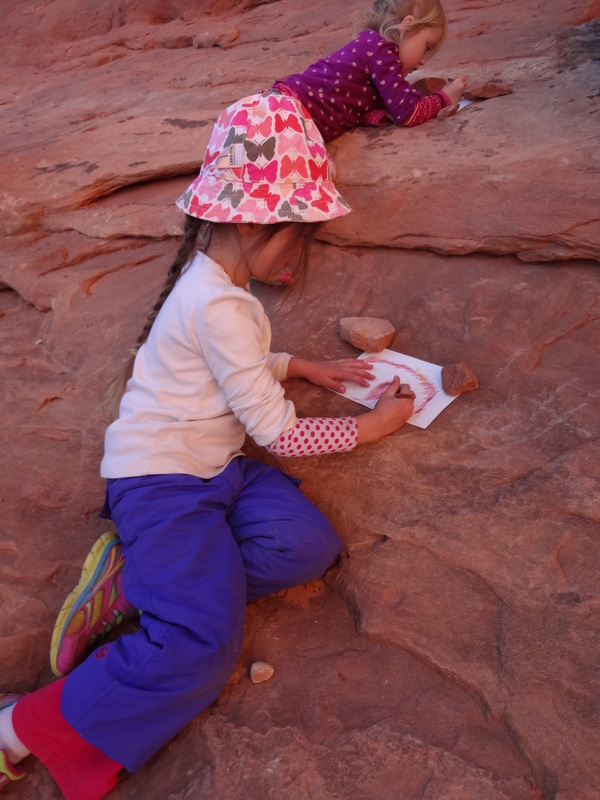 We traveled with fourteen of us (our Nature Nuts Club), six under the age of four. My standard expectation of solitude in the park was sorely missing, as the crowds of Thanksgiving revelers and my own family’s joyous play invaded the alcoves quiet. Suddenly, I sensed the calm I was craving. I glanced around and the children’s’ grandmother De had pulled out her paper and watercolor pencils. Little bodies were sprawled across the sandstone, bellies pressed to the earth, intently rendering the arches that surrounded them. This was a moment of artistic reflection, the quiet connection of self and space, achievable by even the most distracted of naturalists! I am a quiet person, a wide open space kind of person. When I feel my body rigid from the daily interaction with noise, chatter, pavement, and exhaust, I escape to my studio. The place where I tune all excess out and fully center, cocooned in the process of making. Just as Yoga centers and calms the whole person, creating art is a deepening practice. Deepening in the sense of being grounded and connected to the land and self. 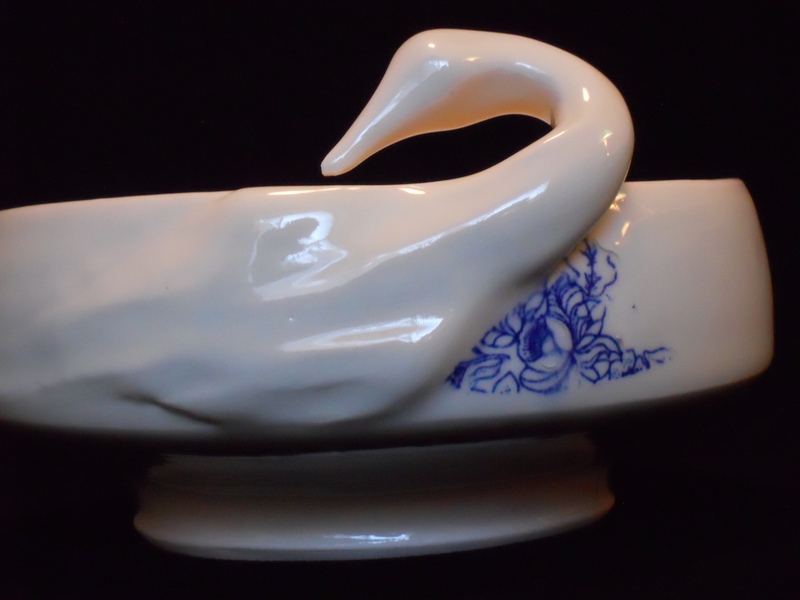 I work while reflecting on nature, the curve of my brush line echoing the cattails of the marsh, or the curved belly of the bowl cupping the enclosed space like a birds nest.